Learning about shorter and taller, not a worksheet in sight. We were developing the use of comparative language to measure. 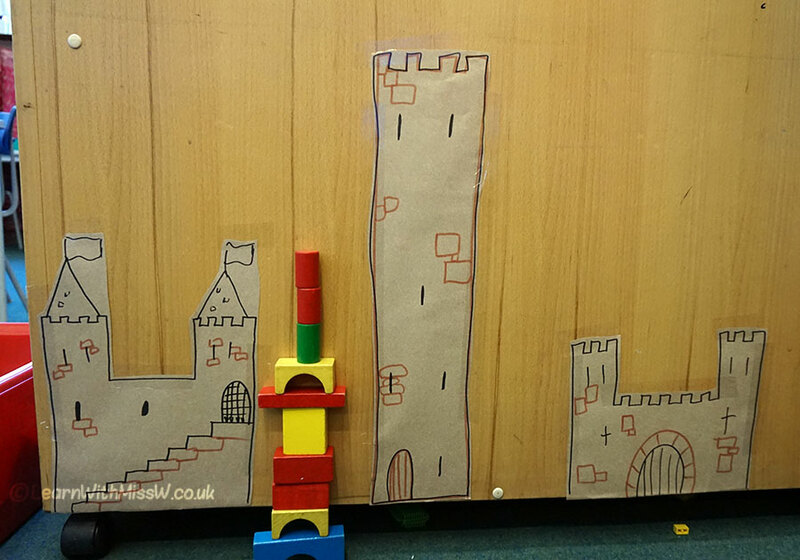 The children were asked to make towers the same height as the ones shown, or to try to make ones that were even taller. We had started the lesson exploring the language of measure and I tried to move them away from using bigger and smaller to taller and shorter. So with the correct vocabulary ‘preloaded’ and ready to go, it was time for some fun. This was one of the measure activities on offer and it was natural for them to comparative language as they were building towers with their friends. I have left the castles and blocks there as a choosing activity they can explore themselves.